Today a portion of the second report (the “Report) from Mr. Peter German was released to the public. In Chapter 6-4, Mr. German makes several references to the Combined Forces Special Enforcement Unit of British Columbia (CFSEU-BC), the Organized Crime Agency of BC (OCABC) and the Joint Illegal Gaming Investigation Team (JIGIT). The full report, while not yet released, is anticipated to shine light on some complex areas where law enforcement at all levels have yet to fully evolve. The portion released today touches on some of those areas; however, requires some clarification that left unresolved would leave an incomplete picture. An important distinction to make is that the CFSEU-BC is a separate provincial policing entity from the RCMP that reports to a Board of Governance made up of B.C. municipal police chiefs, senior RCMP leaders, and a representative of the Police Services Branch of the Ministry of Public Safety & Solicitor General. The Report refers to OCABC (referred to in Mr. German’s report as “OCA”) and that CFSEU-BC’s “earlier iteration”, was OCABC. OCABC became a provincially designated policing unit under the B.C. Police Act in March 1999, replacing the Coordinated Law Enforcement Unit (CLEU), referred to by Mr.German as the “Combined Law Enforcement Unit” in his report. The Agency has the same provincial Police Act designation as the South Coast British ColumbiaTransportation Authority Police Service (Transit Police) and the Stl’atl’imx Tribal Police Service (STPS). OCABC has grown since its inception to include 32 sworn police officers and over 200 civilian staff. With its sworn and civilian staff combined, it is larger than many smaller municipal police agencies in British Columbia. Amongst the 14 integrated policing partners, the OCABC is unique. OCABC police officers have the same authorities and powers as municipal and RCMP police officers while on and off duty. They are sworn in as designated provincial constables, with full powers throughout the province and possess RCMP supernumerary status throughout Canada. The Officer in Charge (OIC) of the CFSEU-BC is also the Chief Officer of OCABC. The OIC of the CFSEU- BC, who holds the rank of Assistant Commissioner in the RCMP, provides operational command as well as managerial oversight and direction to all seconded personnel, including OCABC staff. The CFSEU- BC’s Senior Management Team is made up of senior municipal, RCMP, and OCABC leaders working under the banner of the CFSEU-BC. “To serve as the foundational police agency of the Combined Forces Special Enforcement Unit – BC by combating organized crime in an innovative, progressive and professional manner, with integrity and honour, in service of British Columbians”. 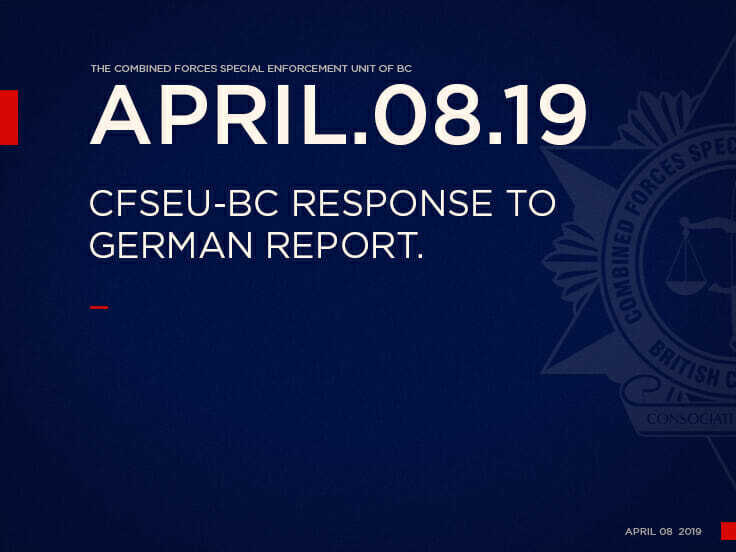 The CFSEU-BC would like to provide the public and media insight into the considerable amount of time, effort, and resources that have gone into project E-Nationalize, which it is believed Mr. German isreferring to in his report when he references JIGIT file “E-National”. JIGIT was formally announced on April 11th, 2016 with its primary focus being to disrupt organized crime and gang involvement in illegal gaming and prevent criminals from using B.C. gaming facilities to legalize the proceeds of crime. As then CFSEU-BC OIC and RCMP Assistant Commissioner Kevin Hackettstated at the JIGIT press conference, “The objective of JIGIT is to provide a dedicated, integrated, andcoordinated multi-jurisdictional investigative and enforcement response to illegal gaming in B.C. 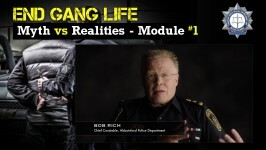 with an emphasis on top-tier organized crime and gangs”. That objective remains intact. In May 2016, only one month after its creation, JIGIT initiated an investigation into the activities of an organized crime group that was allegedly involved in operating an illegal money laundering network. In June 2017, the CFSEU-BC announced that multiple arrests had been made stemming from the nearly year-long investigation. That information can be found on the CFSEU-BC’s website: www.cfseu.bc.ca. Many investigative techniques were implemented within this file. This investigation generated and influenced multiple derivative investigations and referrals to other units. JIGIT has submitted comprehensive disclosure packages containing the Report to Crown Counsel (RTCC) and substantive evidence to Criminal Appeals and Special Prosecutions of the B.C. Prosecution Service recommending charges against multiple subjects. Information on charges will be provided once a decision is made. E-Nationalize is considered to be one of the largest investigations in CFSEU-BC’s history, surpassingeven the Jonathan Bacon murder investigation that spanned almost 7 years, and is likely to set an investigative benchmark and precedent for future money laundering investigations by Canadian law enforcement. Civil Forfeiture Office referrals totaling $261,805.The successes achieved by the JIGIT thus far are not limited to the scope and extent of the positive results seen in E-Nationalize, JIGIT’s work has influenced anti-money laundering policies and members of JIGIT have provided investigative assistance to multiple provincial and national police agencies. Between December 2017 – 2018, JIGIT was involved in seven interdictions, five illegal gaming operations being closed, and 27 referrals to other police and partner agencies. At present, JIGIT has eight active investigations. One notable and significant accomplishment of JIGIT in the past year that is not captured by a criminal charge is that investigators discovered an exploitation of bank drafts being used to allegedly launder money. JIGIT members shared information and collaborated with public and private partners to bring about changes to how banks issue bank drafts in an effort to disrupt organized crime’s use of this financial transfer system. Additionally, JIGIT members have cultivated and developed numerous provincial, national, and international partnerships and provide education to local, national, and international police agencies, banks, service providers and regulators. In the almost three years since it was formed, JIGIT members are now recognized internationally for their knowledge and expertise and have been invited to participate in the United Nations Global Program Against Money Laundering, contributing to e-learning training modules for UN members. The CFSEU-BC remains steadfast in its commitment to targeting those individuals and groups who are posing the greatest risk to British Columbia due to their connections to gangs and organized crime, including, but not limited to, illegal gaming through JIGIT’s mandate.